Soviet sniper Roza Shanina (59 kills, KIA January 1945). Color photos of World War II used to be rare, but they have been turning up more frequently recently. There are certain "hot spots" for colorized photos, meaning they usually involve Adolf Hitler, Soviet female snipers, and air force officers, or Wehrmacht soldiers in the field. If you eliminated those three categories, you would have very few color photos of World War II left. 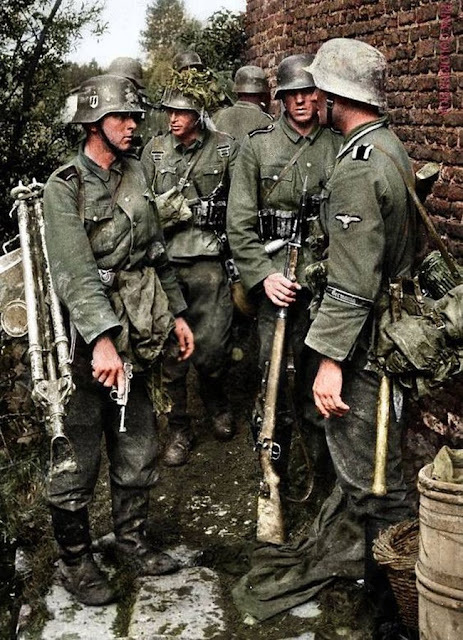 For some reason, colorized photos of the ordinary US or British soldiers are still relatively uncommon (though of course there are plenty in black and white). So, we take what we can get. 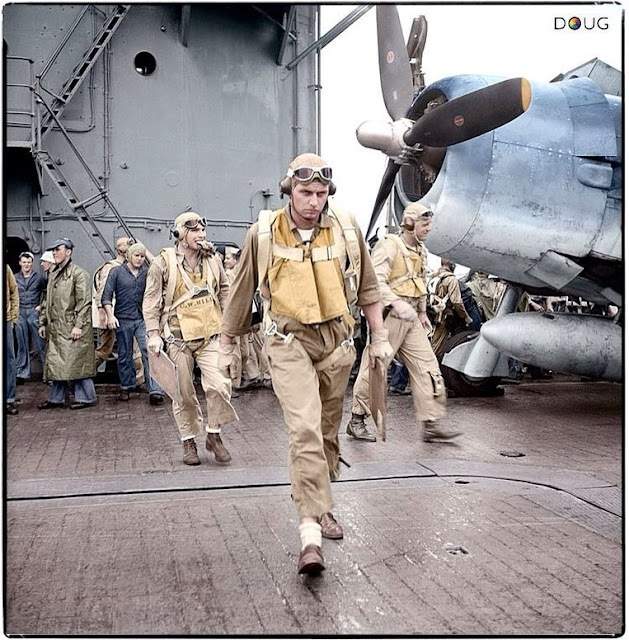 There were actual color photos during World War II, but they were usually only taken for a few magazines that specialized in color photos, such as Life magazine. Ordinary newspapers, for which most photos at the time were taken, had no use for color photos. 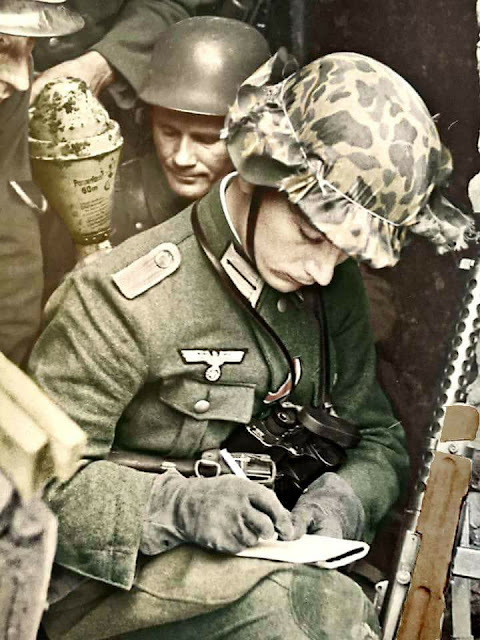 Thus, you should assume that all of these photos are colorized. 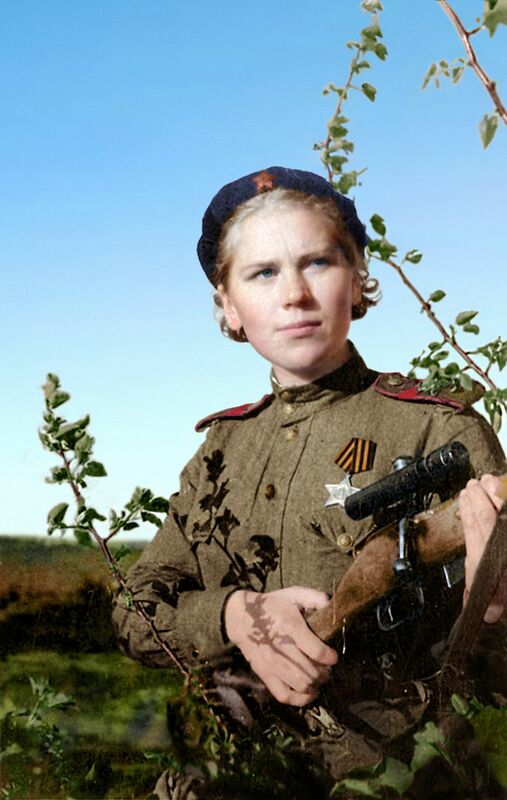 Personally, I have no issues with colorization as long as it attempts to faithfully reproduce reality, which is the whole point of photographs to begin with. I indicate where I am dead certain that a photo is colorized, but it is best to assume that they all are. 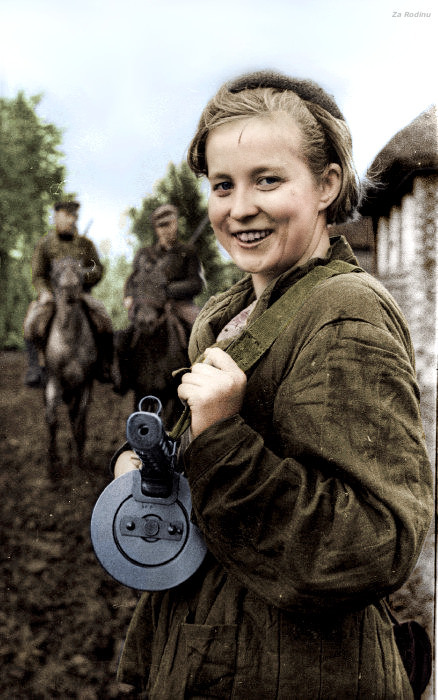 While I include colorized photos, I try to avoid fakes. Unfortunately, there seems to be a growing number of photos that purport to be of World War II vintage, but in fact are much more modern. This always has been a problem in this field but has gotten worse. I believe all of the photos on this page are originals, but still taken from old movie sets and the like can be quite difficult to differentiate from the real thing. My goal in these color pages simply is to show a variety of photos that display different aspects of the times. Sometimes, you observe more in a photo if you aren't expecting something in particular and it just pops up at you at random. So, the subjects vary without much of a common theme aside from being from World War II. I hope you enjoy the photos. You may find more color photos of World War II on page 1 and page 2 and page 3 and page 4 and page 5 and page 6 and page 7 and page 8 and page 9 and page 10 and page 11 and page 12 and page 13 and page 14 and page 15 and page 16 of this series. 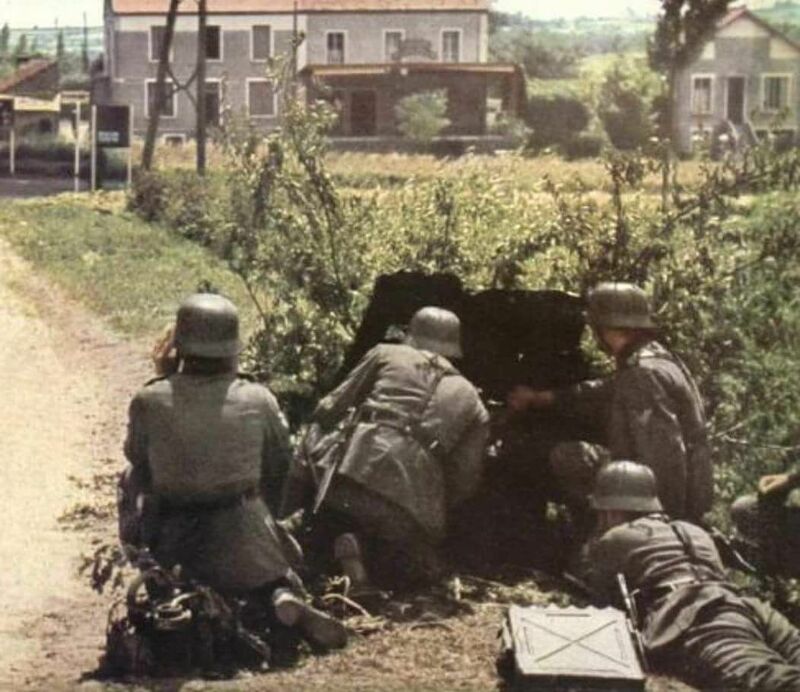 Setting up a 3,7 cm Pak 37 anti-tank gun with an ammunition case. Thanks to a knowledgeable poster for the ID. 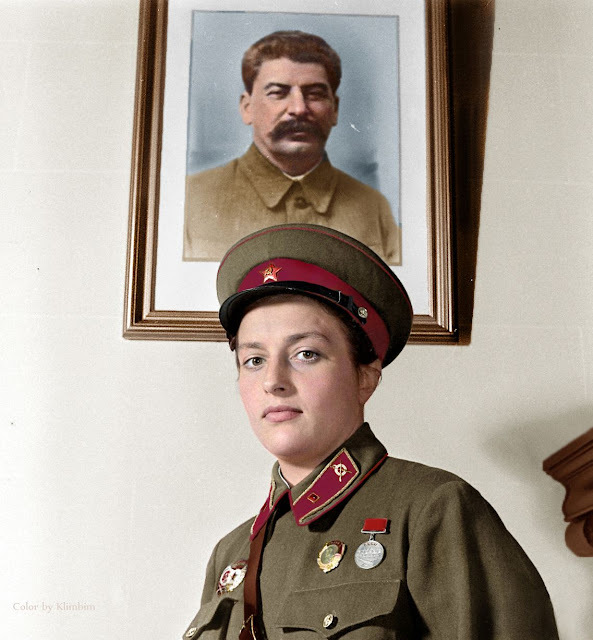 Yefim Costin was awarded the Order of the Red Star. Traudl Junge, Hitler's personal secretary, at the Berghof. 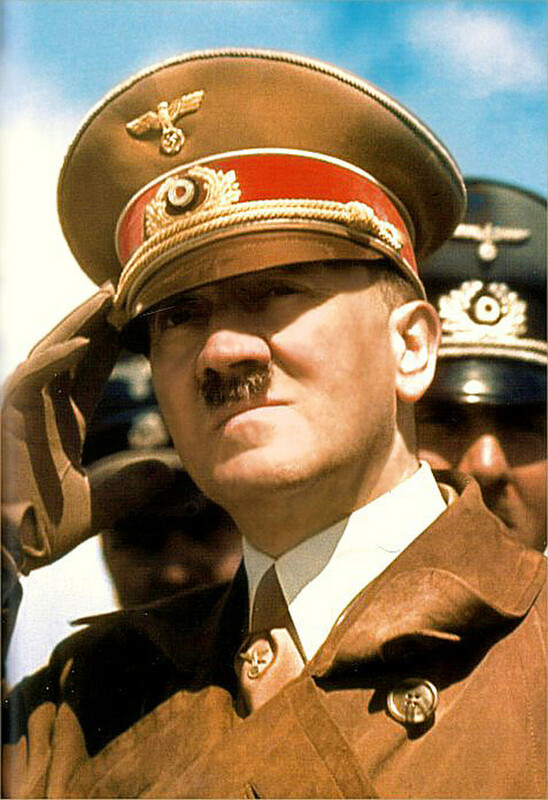 Junge was one of the last people to see Hitler alive. Supposedly, during the last days in the Bunker, Hitler told her he'd like to see her naked. She survived the end by simply walking out of the bunker and going home. 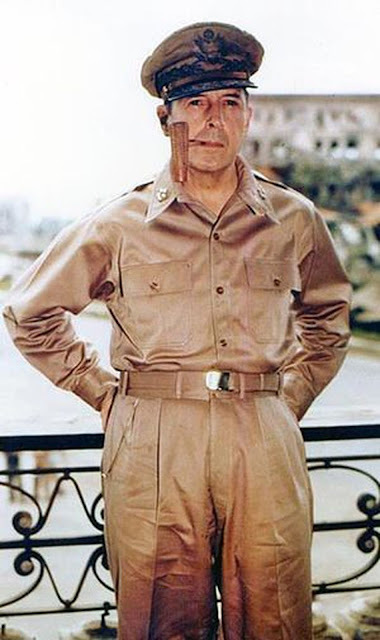 The soldier appears to have cut a piece out of an Allied parachute for his helmet. 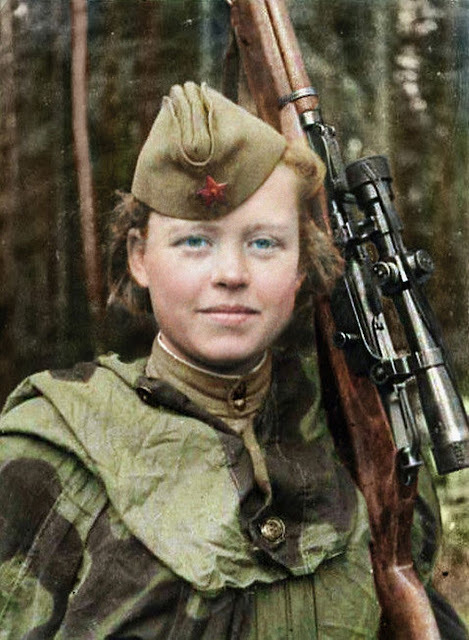 Soviet sniper Lyudmila Pavlichenko, "Lady Death." 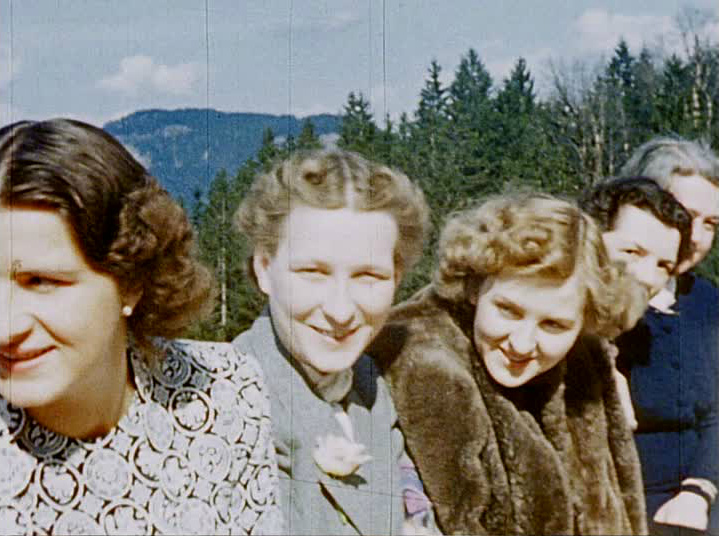 Eva Braun at the Berghof with friends. 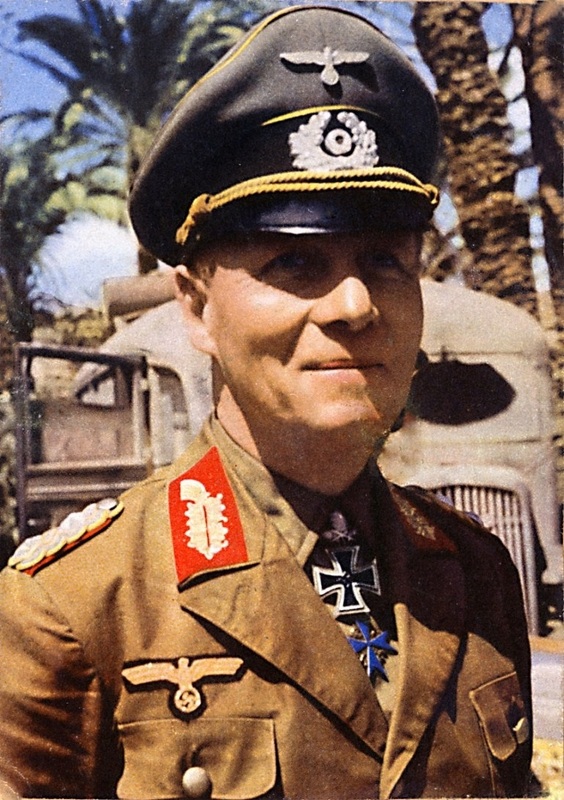 Hitler told his adjutant, Julius Schaub, in 1941: “I have to buy Eva more mink coats. I have to do something to excuse all that she has had to endure with all this." 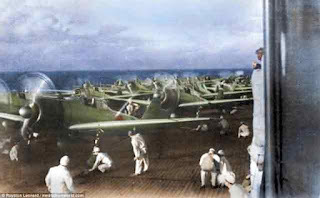 US Navy pilots, Lt. Dearing, Ensigns Miller and Bus Alder with their F6F-3 'Hellcats' aboard USS Saratoga. November 5 1943 (colorized by Doug Banks). 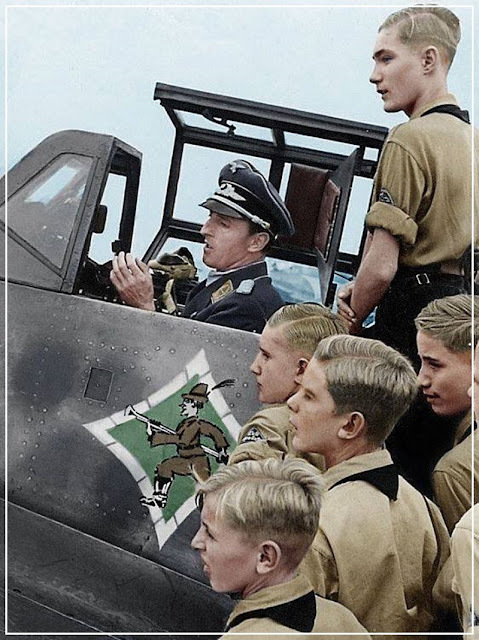 Luftwaffe ace Hermann Graf (202 victories) with some Hitler Youth. 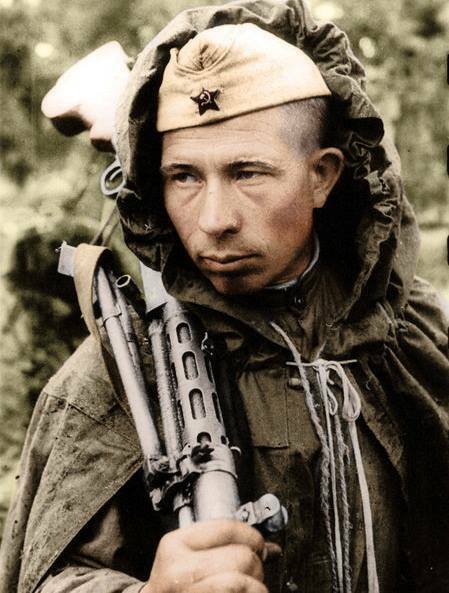 A Soviet partisan holding what appears to be a PPSh-41 (colorized). 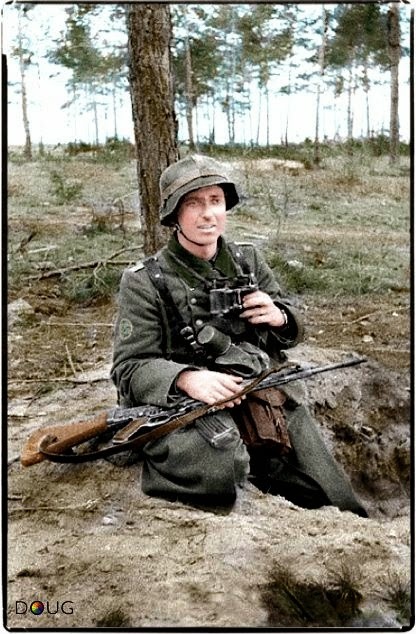 A Jäger with a Sturmgewehr 44 (colorization by Doug Banks). Poltava. Ukraine. September 21, 1941 (Federal archive). 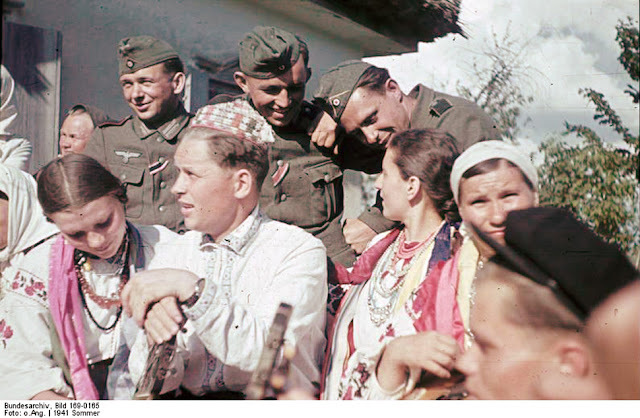 Some claim that all photos showing Wehrmacht soldiers in friendly circumstances with Soviet women are staged. That may or may not be true, but there are an awful lot of them, and Ukrainians always have had an independent streak right down to the present day. 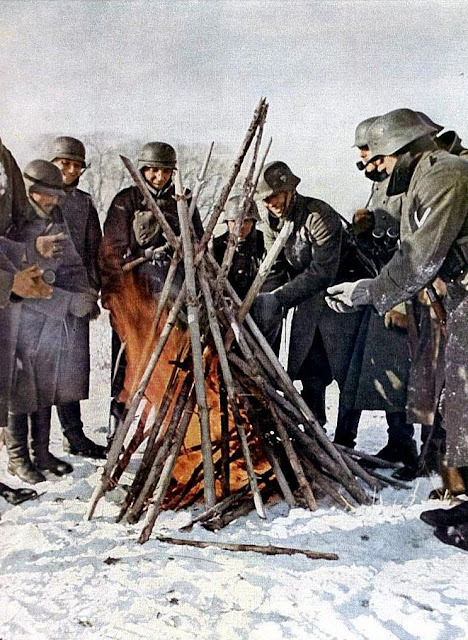 Keeping warm in the Soviet Union. 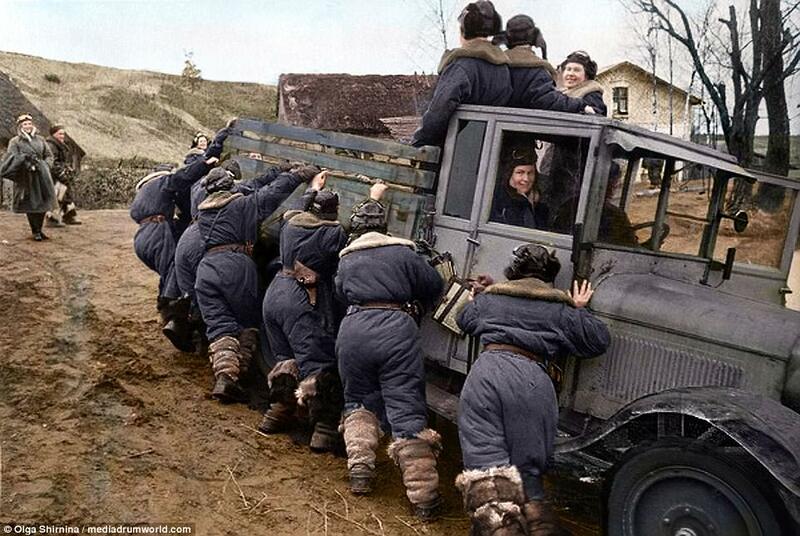 The reality of war: pushing your truck out of the mud in 1944. 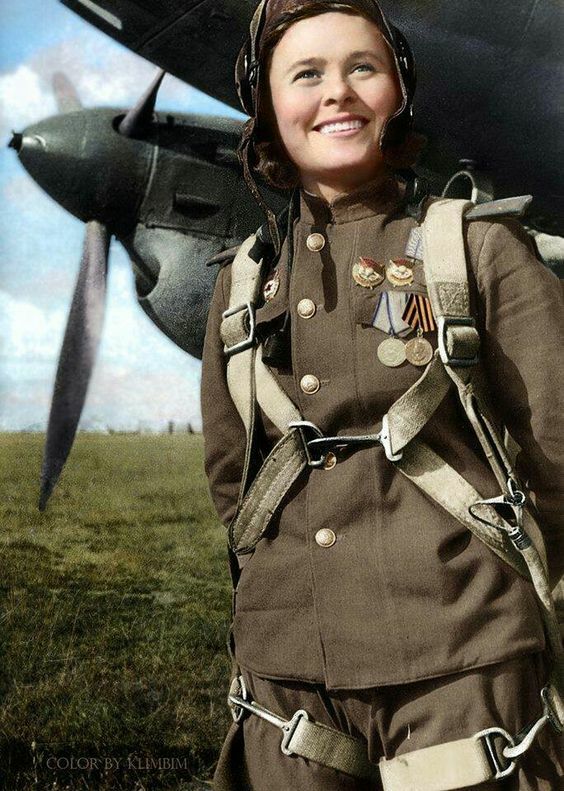 These are Night Witches in 1944, but pretty much everyone on both sides did this at some point (colorized by Olga Olga Shirnina). 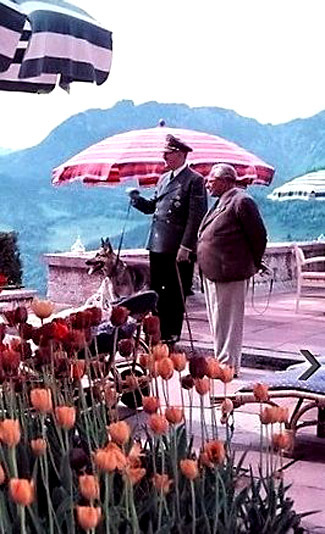 Hitler and Heinrich Hoffmann on the Berghof terrace. 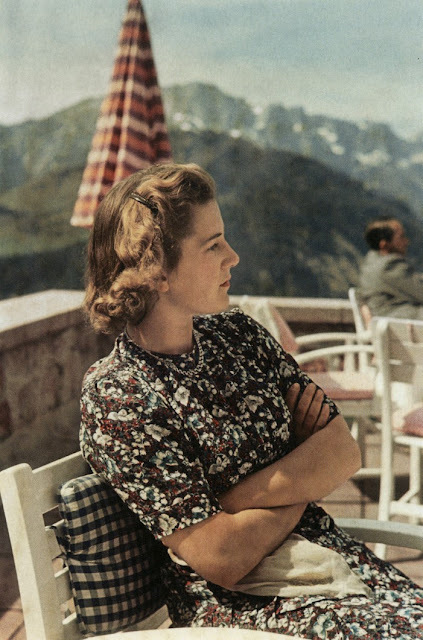 June 1, 1943 (Photo by Eva Braun). Hitler met Braun while she was working the counter in Hoffmann's photo studio. Messerschmitt Bf 109 F-4 ‘Yellow 4’ of 9./JG 3 ‘Udet’ flown by Ofw. Eberhard von Boremski. 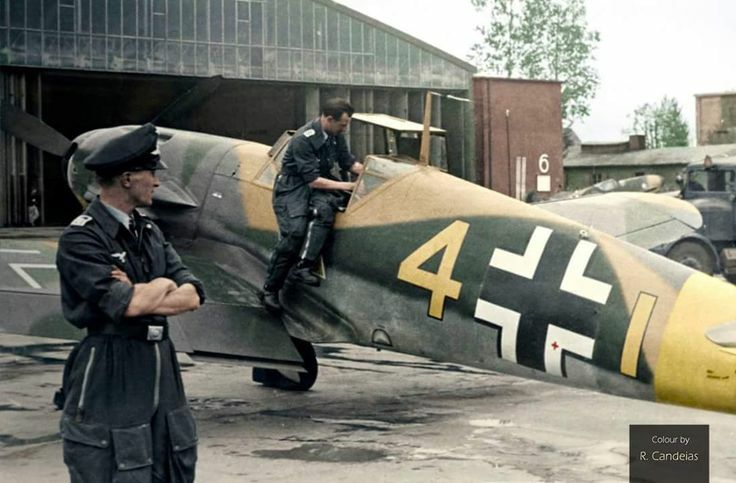 This is early May 1942 at Chugiyev airfield or possibly still during the unit’s refit in Wiesbaden-Erbenheim, Germany, shortly before it was transferred back to the Eastern Front. 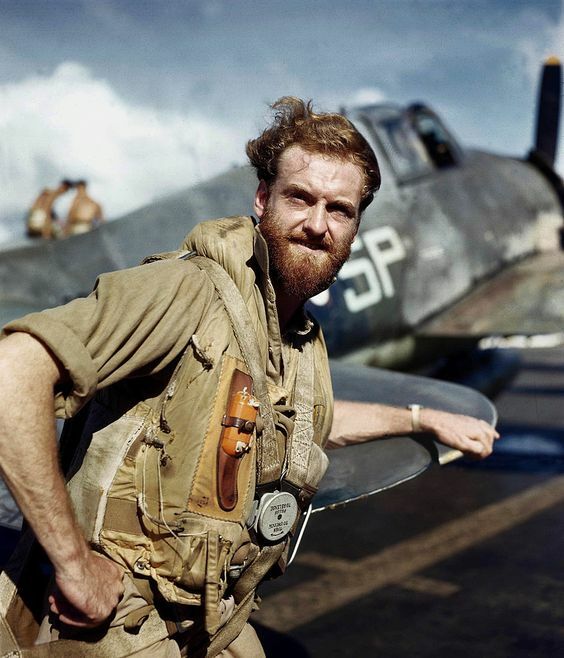 Pilot of the Fleet Air Arm, Royal Navy, with his Hellcat fighter. Far East, 1945. 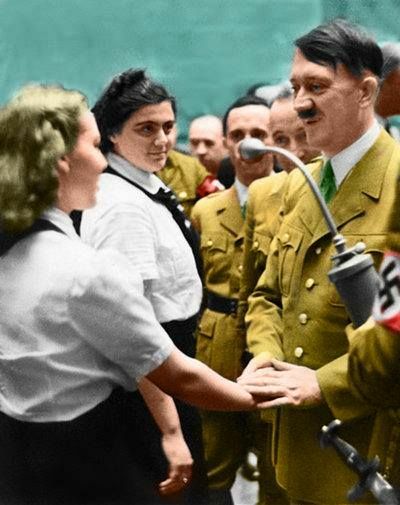 Hitler with League of German Maidens (Bund Deutscher Mädel, abbreviated 'BDM') girls. SS-Pz.Abt. 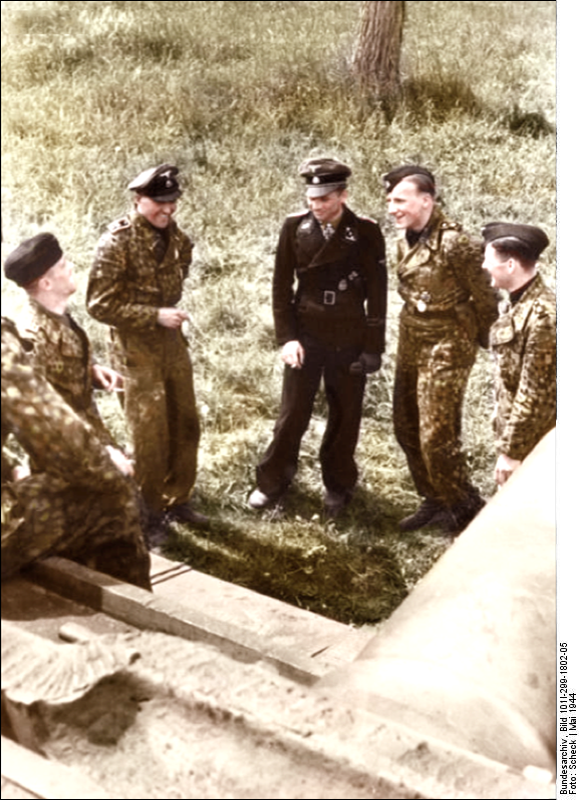 101 "LSSAH", (l-r) Hans Höflinger, Georg Lötzsch, Michael Wittmann, Karl-Heinz Warmbrunn and Balthasar Woll stand in front of a Pz.VI 'Tiger' in France, May 1944 (Scheck, Federal Archive). 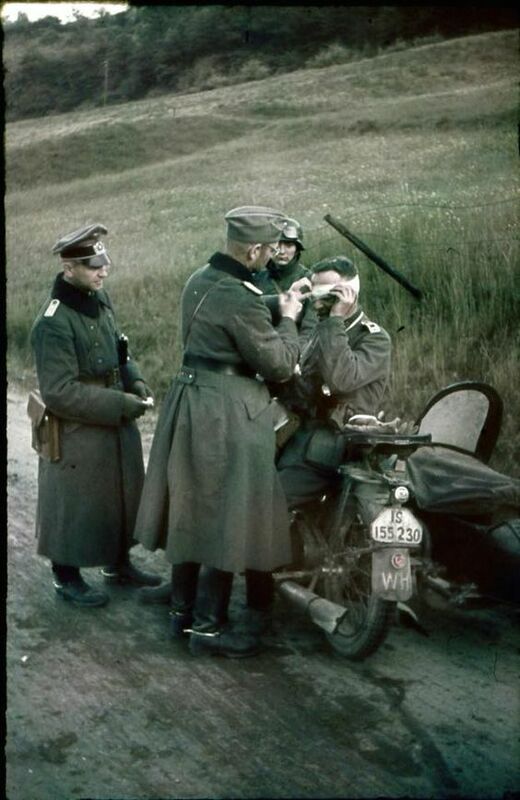 German Motorized SS Regiment "Germania." 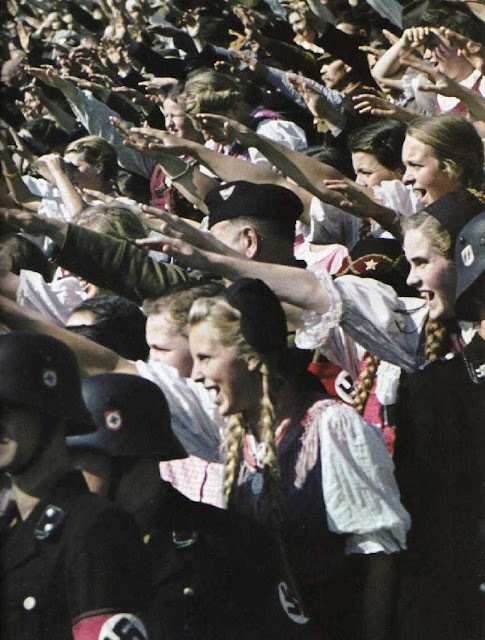 This is a fairly well known picture of a celebration of the fall of France that someone has colorized. 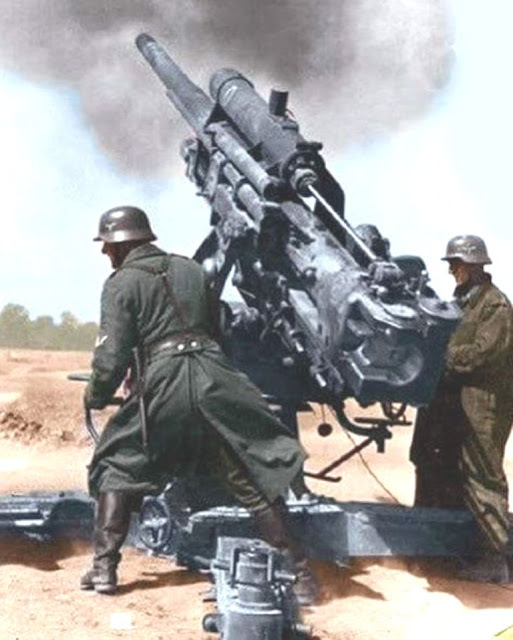 A German 88 flak gun, perhaps the single most effective artillery piece of the war..
María Dolina (1922-2010) (colorized by Olga Olga Shirnina).